In this post I am going to post the code for a simple 6 degree of freedom version of my complimentary filter. This should give anyone who wants to better understand what is going on an opportunity to play with the actual code. In future posts I will explain how to add a magnetometer and then give the code for a 9dof complimentary filter. I will now explain how I perform gyro drift compensation in the pitch and roll directions using the output of an accelerometer. In a future post I will discuss using a magnetometer to counter gyro drift in the yaw direction. Before going into the theory and math, here's a quick overview of what an accelerometer is. 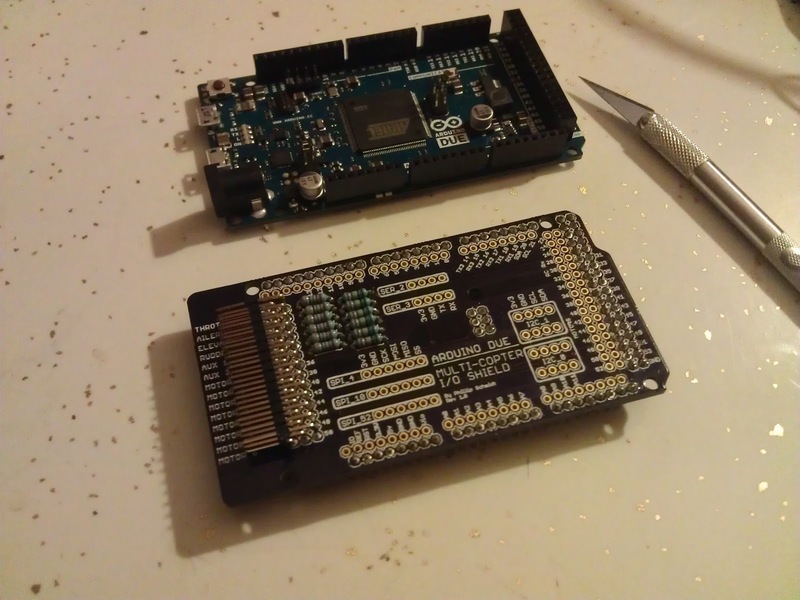 Today I will talking about my experience with my multi-copter i/o shield and where I'm going with it. Over a year ago I built my first MIOS (Link). This post is one of the most popular on my blog.